Building your own mountain bike trail? Here are some useful links to get you educated and on your way to building better bike trails. 10 Most Common Trail Building Mistakes. 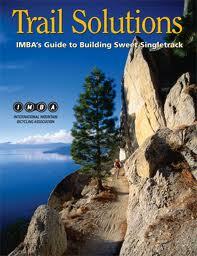 IMBA’s top ten list of things to avoid when trying to build sustainable singletrack mountain bike trails. Building Good Trail Structures. The North Shore Mountain Bike Association, or NSMBA has plenty of trail building experience underneath there belts. A link with some insight into building structures on your trail that can stand the test of time. 25 Best Tools For Trail Building. An extensive list of tools to help make your trail building dream into a reality. 10 Ways to Make Your Mountain Bike Trail Awesome – Part 1. 10 Ways to Make Your Mountain Bike Trail Awesome – Part 2. Video Series: Building Mountain Bike Trails. A 9 part video series by the International Mountain Bike Association (IMBA) and the United States Forest Service (USFS) highlighting most of the key concerns when building legal, sustainable and high quality mountain bike trails.